There was a time when Anwar Ibrahim and ADIL (later KEADILAN, and then Parti Keadilan Rakyat) enjoyed the massive support of the rakyat no matter the program. That was the time when those who hated his guts such as the DAP and PAS treated him and his party as a political mules. The jockeys rode to victory in many places in 2008 while PKR only got the MB seat in Selangor by virtue of PKR being able to provide a Malay candidate as the MB. As time goes by, the rakyat can finally see that other than Rafizi, Wan Azizah, N Surendran, Nurul Izzah and Tian Chua, PKR has nonother candidates qualified to become anything, and that PKR is nothing but a vehicle to promote Anwar Ibrahim as the next Prime Minister, and stops at only that. The above is evident in the latest cow-dung shat by PKR in the case of the Tian Chua-arranged meeting between Nurul Izzah and Jacel Kiram, discarding the sensitivities causedby the Lahad Datu intrusion. 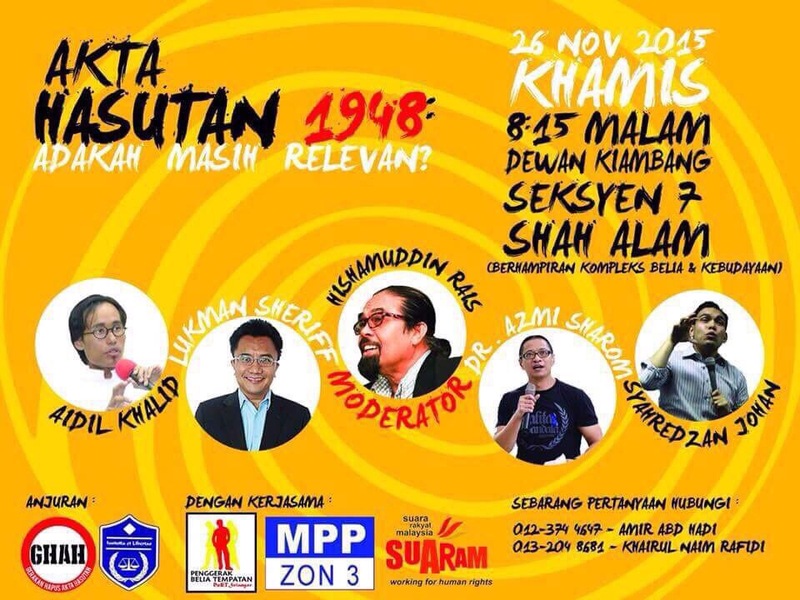 So how much support does PKR and its loose coalition have nowadays? 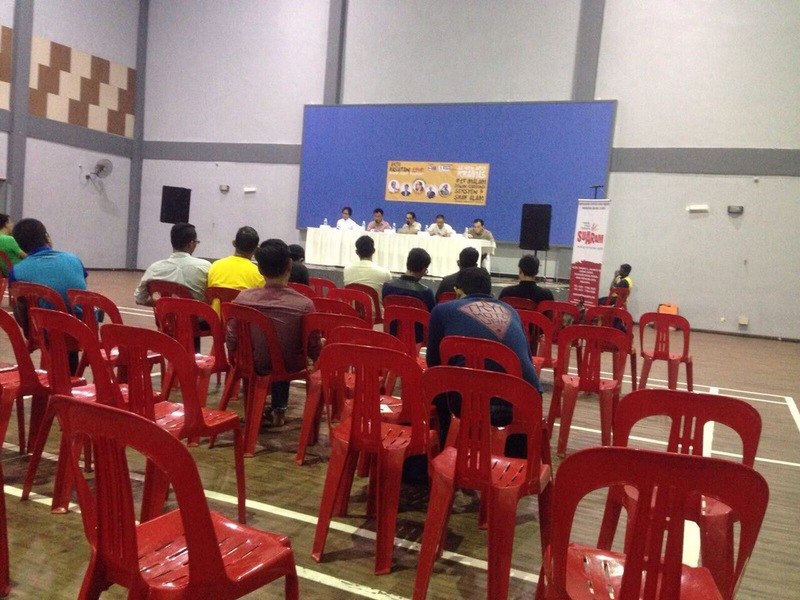 The above Pakatan-organised (PKR) forum was held in Opposition-held Shah Alam, its own safe seat. Using the favourite opposition-leaning media’s words, “tens of thousands” attended. Here is a photo of the forum. My guess is we will have a new Menteri Besar in Selangor – a DAP stooge. DAP as usual will have the most seats in Selangor and Mat Sabu-led Amananah will contest. Pseudo-religious voters will support Mat Sabu and his massacre of cartoons and among these DAP-friendly candidates, one will become the Menteri Besar-designate. DAP will eventually have its way in Selangor.